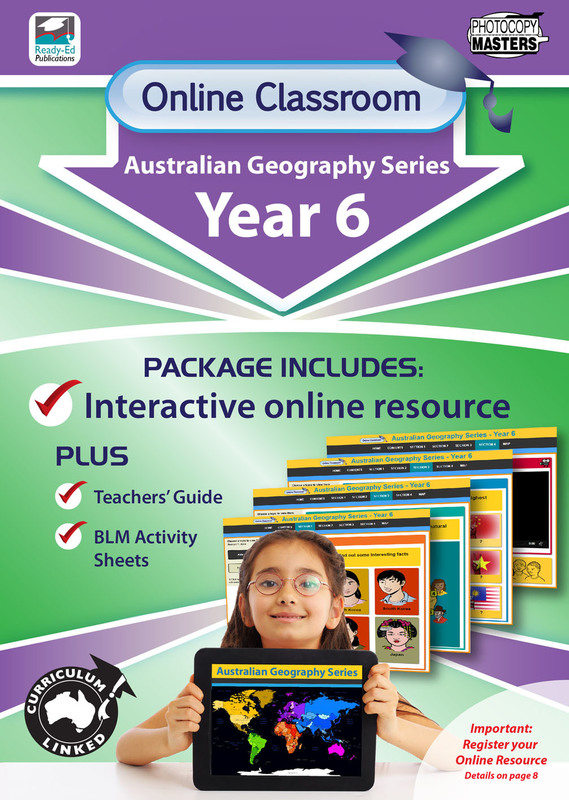 Online Classroom: Australian Geography Series – Year 6 is a resourceful package! 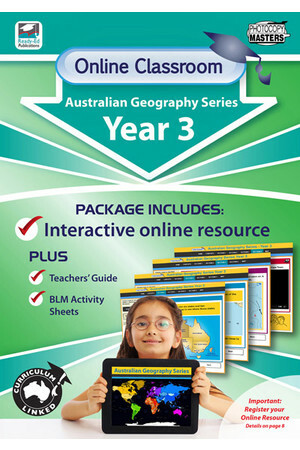 It includes an interactive online resource and an A4 book. 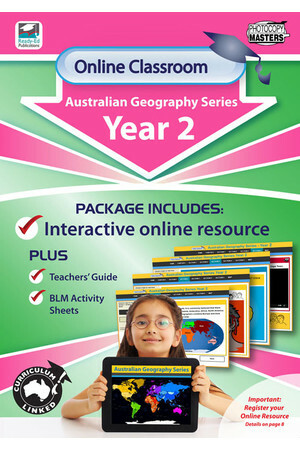 Part of the series Online Classroom - Australian Geography Series. Please note: This product must be registered before use. 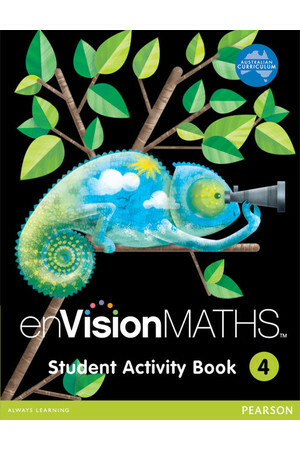 Please see Page 8 of the book for instructions. 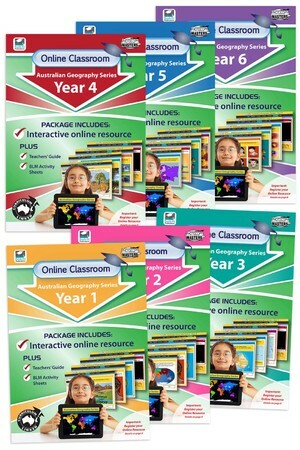 Interactive Online Resource: The online resource can be viewed on smart/whiteboards, tablets and laptops. This interactive resource includes videos, audio, clickable buttons, graphics and more. It is specifically targeted at engaging Year 6 students and bringing classroom lessons to life. 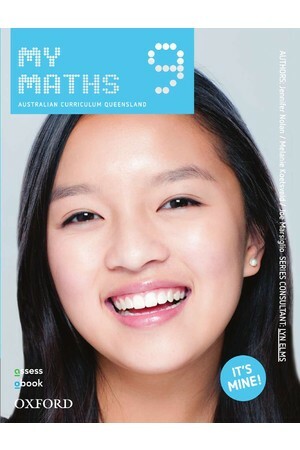 Teachers’ Guide: The teachers’ guide includes step-by-step instructions to using the online resource. 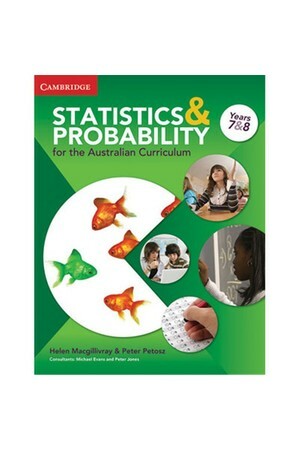 All you will need to know about using the online resource is provided in this guide. 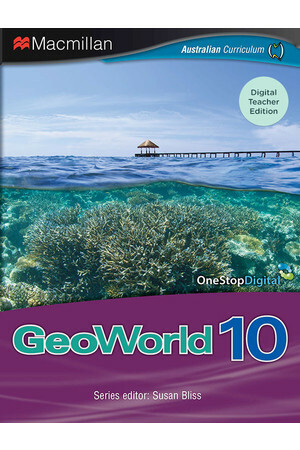 The code and registration details are provided in this guide too. BLM Activity Sheets: Photocopiable BLM activity sheets which link to the online content are included in this package. 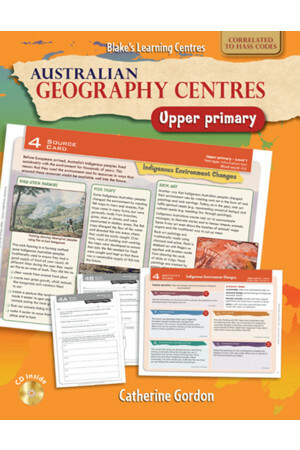 Originally created for our popular BLM ‘Australian Geography Series Book 4: The Environment Sustains Life’, these activity pages have been modified for this package. 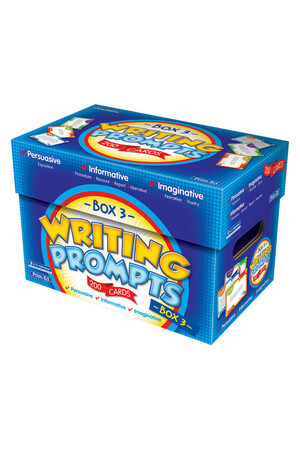 Students can complete the activities after viewing the online content. 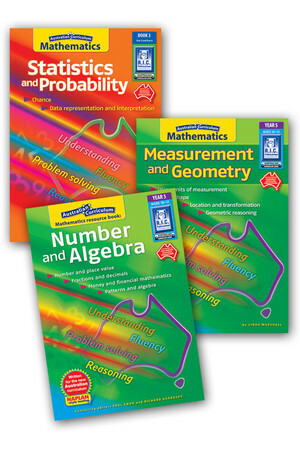 All of the activity sheets have been carefully created to meet the requirements of the Australian Curriculum. 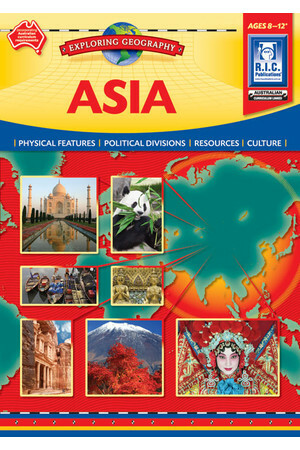 Section 1: Asia - In this section learn about the different parts of Asia; where countries are located; the people who live in Asia; traditions and the diversity of environments and population in this amazing part of the world. Section 2: Global Economic, Demographic And Social Differences - In this section learn about equity and inequity in countries in the continents of Asia and around the world. 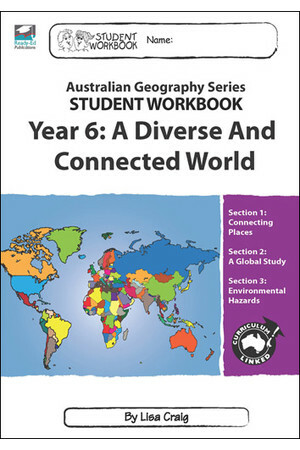 Section 3: Cultural Diversity: In this section learn about diversity around the globe. Find out about the wonderful differences in the world that we can celebrate. 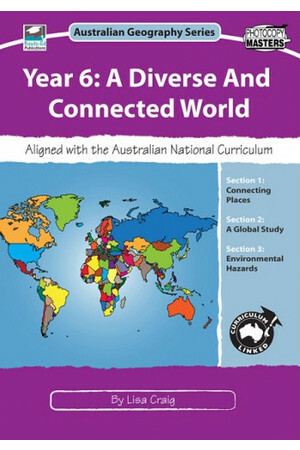 Section 4: Australian Relations - In this section learn about Australia’s relationship with other countries around the globe.